Praise God for the beautiful evening we shared with 500+ guests at the Paths of Life Gala on October 7. We enjoyed Keith Stevens and Point of Grace in concert. Stories of God's healing and joy were shared, that reveal the paths of life God has given our women and their families. We praise God for paths of life and joy forevermore, bearing witness to His presence and care. Thank you to our AMAZING VOLUNTEERS! The amount of people it takes to make our gala a beautiful celebration is immense! We couldn't be more grateful to all of you who poured out your hearts and provided your time and talent in such amazing ways. We thank God for you, faithful servants of our Lord! Thank you to Point of Grace for the stunning and moving entertainment you provided. You were nothing short of spectacular! Thank you to Zandolee Media for all your help with video production, capturing our gala live, etc. Thank you to Nystrom & Associates, Ltd. for being our presenting sponsor! 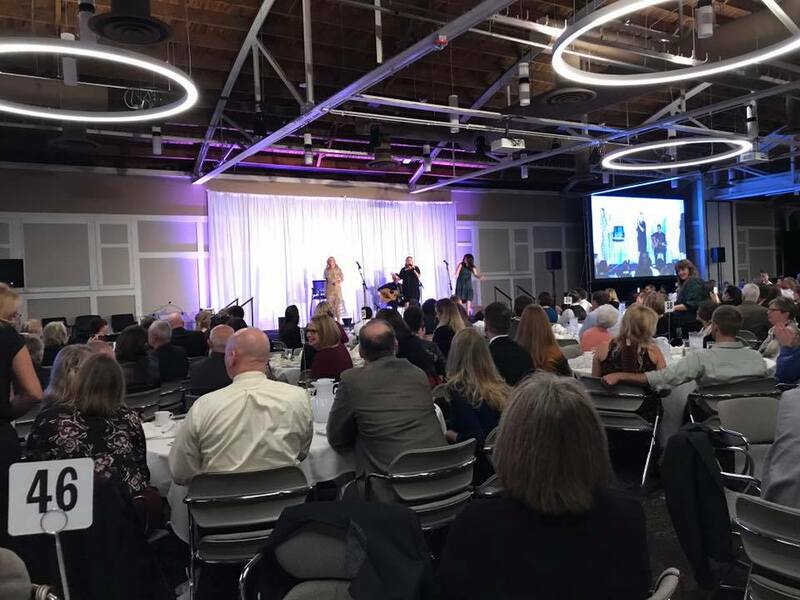 And to Kemps, Victory Auto Service & Glass, ACR Homes, Tenenz, Inc., Slumberland Furniture, Calvin Christian School, Highpoint Environmental, Ironworks, Rise & Shine, Darin and Julia Glanzer, and Jerry and Marilyn Halseth for sponsoring our gala as well! Thank you to Keith Stevens of 98.5 KTIS for doing an incredible job emceeing our event! Thank you to everyone who attended and all who gave a donation! With God's grace, you enable us to continue to serve more and more women and children fleeing domestic abuse! Thank you to all the businesses and individuals who donated silent auction items! And of course, certainly not last or least, thank you to our Lord and Savior Jesus Christ for His faithfulness, provision, love, grace, forgiveness, mercy and for the eternal hope that we have in Him and Him alone. We are so humbled and honored by the abundant love we experienced this past weekend, and can't wait until next year's gala, which will be Saturday, October 6th, so save the date! Post Gala donations or pledges received by October 31 will count toward this goal.